UK prime minister David Cameron has announced his resignation in the wake of the historic referendum on the continued membership of the country in the EU. Cameron made his announcement at around 8.30am on 24 June, following a vote that saw the country’s voters choose by 51.9% to 48.1% to leave the EU. ​Will British expats be sent home after Brexit? The announcement comes only a year after Cameron won a general election in the UK. He set himself a timetable of leaving by October, when the Conservative Party will have its annual party conference. The decision comes as currency markets in first Asia then Europe went into turmoil, sending the pound to its lowest level in three decades against the dollar, and the FTSE opened sharply lower. International Investment’s sister title InvestmentEurope will publish running commentary through the day including reaction from asset managers, investors and others in light of the referendum outcome. 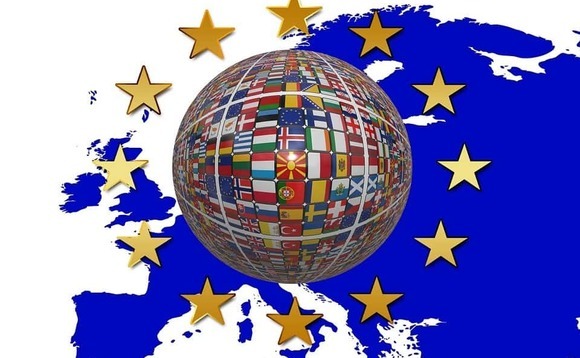 The decision made by the British public to favour a vote to leave the European Union (EU) will shape the future direction of financial services around the world. It is important to note that the result of the UK’s EU Referendum is just the beginning of a process. A British exit will not take place for some time and will involve a lengthy period of negotiation. Whatever the outcome of the negotiations, operational continuity and resilience is the primary focus for BNY Mellon. BNY Mellon’s strategy and risk management groups will work closely with clients and regulators to ensure we continue to meet their needs in the developing environment. We believe that we are strongly positioned to continue to provide services and solutions to our clients through all our European legal entities. As a global financial institution with a strong presence in the UK and other European Union markets, BNY Mellon is ready to play a constructive role during this transition period to minimise any potential challenge, turbulence and disruption to Europe’s capital markets and our clients. The decision today means that there is now less uncertainty about the direction this issue will ultimately take. Nonetheless, the practical consequences cannot be clearly identified before a proper and longer term impact assessment has been made. EFAMA intends to spend time consulting with its members across Europe to gather feedback and reactions, and to determine which next steps will be needed in due course. We expect capital outflows to put further pressure on the GBP versus USD. The EUR is also likely to remain weak. Risk-off trades may drive UK and other equity markets lower. Following the sharp initial devaluation, further GBP weakness is likely, but with periods of volatility prompted by positive/negative developments in “leave” negotiations. Uncertainty will continue to weigh on UK equities, undermining the expected boost from a lower GBP, until we get clarity on a post-EU trade regime. Machinery and transport equipment, chemicals, mineral fuels, insurance and financial services and manufacturing could be particularly vulnerable, given their high exposure to EU trade. could go above US yields. While we expect this should only have a limited longer-term impact beyond the UK, the risk of contagion and a broader European crisis will require careful monitoring. There have been significant movements across global financial markets overnight and this morning – some of these moves seem rational, but others may be an over-reaction. Confirmation of the referendum result removes some uncertainty and creates some other uncertainties. There is always uncertainty but markets tend to react most when we can put a name to it. We have to admit that at this stage, there is a lot that we do not know, so let’s focus on what we do know – how asset prices are moving and how that relates to a broad range of factors likely to influence the global economic outlook over meaningful time horizons. As global investors, we have to step back from the enormous media attention on this topic here in the UK and Europe and ask whether our perspective has changed on the global outlook. So far, from that perspective, we can say that the ‘story’ – in terms of a narrative of broad political disaffection across many regions, not just the UK – has moved along a bit. Other than that, there is very little we can know. Nobody likes political uncertainty but there is little sign that this represents a change in regime in that this is not about changing to anti-capital models. Therefore, we should question it when we see markets behaving as if that is what’s going on. We have to think carefully about what market movements this ‘new’ news justifies. It might be sufficient to justify a 10% overnight move in sterling versus the US dollar, but does it justify a decline of 7-8% in Japanese banks or 6-7% in Portuguese bonds in a single day? Neither of these movements have taken pricing to levels outside of a range already seen year-to-date, but the speed of the moves looks like indiscriminate panic. Our overall view is that the asset management industry, and the UK and Europe more holistically, will emerge from this decision without permanent major harm having been done, although in the short and intermediate-term there will inevitably be volatility and uncertainty in the aftermath of the vote. Pioneer Investments is well positioned, as we do not rely on a UK-based management company to passport services and products into the rest of Europe, instead having hubs in Ireland and Italy, among other still solidly European domiciles. So-called “risk assets” are likely to continue to see downside volatility for some time. Uncertainties on the future of Europe and the reaction from central banks will dominate financial markets and continue to weigh on risk assets over the medium-term. Political and monetary response will be the major variables to manage the long Brexit process in an orderly way. We do not, however, believe that this outcome threatens, in a fundamental way, the underpinnings of the global financial system. In the context of asset management there are two considerations regarding the UK’s vote to leave the EU: its impact on client portfolios on the one hand, and its impact on the industry and asset managers themselves on the other. For our client portfolios, we are confident that this will not be disruptive given steps we have taken in terms of risk mitigation and diversification. We are also confident in the industry as a whole. While certainly there will be much work to be done by the government and the EU institutions to agree “passporting” arrangements between the UK and Europe in the coming months (and years, even), we believe this process will be successfully resolved as long as all stakeholders maintain the proper focus on the client. Regarding Pioneer Investments, our corporate footprint is such that our asset management company domiciles are in locations still very much part of the EU, including Dublin, Ireland, Luxembourg and Milan, Italy, among others. Hence, the yet-to-be resolved questions about the ability of UK-based asset managers to continue to passport their services throughout Europe do not impact Pioneer Investments and our clients. From a markets perspective, we see conditions for a risk-off scenario in the short-term. We believe that Central Banks are ready to act, and their immediate focus will be to stabilize the markets and provide liquidity. The UK’s momentous decision to leave the EU brings long-lasting political and economic consequences. We expect European leaders to focus on fending off domestic populist movements emboldened by the British exit and on preventing the entire EU edifice from falling apart. This points to a tough negotiating stance toward the UK and less focus on much-needed structural reforms. We expect attitudes on immigration to harden, and see the risk of a protracted standoff feeding uncertainty. We expect the UK divorce to be messy, drawn out and costly. It involves unpacking UK and EU laws, and striking trade deals with a spurned EU and the rest of the world. We expect potential losses in services exports and investment flows to overwhelm any benefits of lower payments to EU. We see a weaker euro over time and pressure on European shares, credit and peripheral bonds such as Italian government debt due to likely European job losses and lower growth. We expect limited pressure on government budgets, however, as high-quality government bonds are in demand in a low-rate world. The Bank of England’s first priority will be to provide ample liquidity to avoid anyfunding stresses, in our view. The magnitude and volatility of the British pound’s fall will likely dictate further responses. We expect the central bank to cut its 0.5% policy interest rate to zero soon, and see it returning to quantitative easing rather than pushing rates into negative territory. We expect credit rating agencies to quickly adopt negative outlooks for UK government bonds, with downgrades to follow. We see the vote leading to declines in global shares and other risk assets. Yet indiscriminate selling could translate into opportunities. US and Asia markets are only marginally affected by the UK’s exit from the EU, and are supported by a mix of easy monetary policy and economic growth. In the UK, we expect the large-cap FTSE 100 Index to outperform the more domestically focused FTSE 250 Index. A UK currency drop benefits large companies with overseas earnings, whereas domestic sectors such as homebuilders, retail and financials look vulnerable. We expect this vote to have significant impact on the course of the global economy, but it will take considerable time before the effects are fully felt. The most immediate ramification is likely to be political change in the UK, given the bitterness of the referendum campaigns. However, the referendum is not itself a binding decision but will need to be incorporated into an Act of Parliament. Under the terms of the Lisbon Treaty, the UK will then give formal notice to the EU, after which a two-year (extendible) negotiation will be held to decide on the actual terms and conditions of the exit. In the weeks leading up to the vote, speculation caused increased market volatility, especially for assets denominated in British pounds. Some studies suggested that Brexit could cause sterling to weaken further, perhaps by up to 20%. This might suggest that investors should avoid allocating their assets to the UK. But of course, by now, some of this effect is already priced in. We also need to bear in mind that Brexit will have global effects, so merely moving out of UK assets might not achieve the desired result. While the short-term impact of the vote is likely to disrupt the markets, it’s less clear how significant this will be for a long-term investor holding a well-diversified global portfolio. One important dimension of Brexit is how it will affect the UK economy and, by extension, the incomes of UK citizens. There’s a range of estimates on how the UK economy will be affected; some are positive but the majority are negative. Post-Brexit, the UK will lose its automatic right to the favourable trade terms that EU membership bestows. This might discourage inward flows of direct investment by firms – for example, wanting to establish a UK base to access the broader European market. There could also be a negative impact from restrictions on the number of EU citizens coming to work in this country, something that has boosted the economy and tax revenues in recent years. The argument that Brexit will increase UK GDP assumes that trade with non-EU countries could increase (even though such trading opportunities have already existed within the EU). The anti-EU camp also argued that removing excessive EU regulation could allow higher growth. But the UK is already one of the least regulated economies in the EU. What’s more, many of the existing EU regulations that have applied to UK businesses were initiated or supported by the UK government. In some cases, the UK government has introduced rules over and above those that apply elsewhere in the EU. Finally, on immigration, it will still be possible for EU citizens to work in the UK post-Brexit, but the choice of who works here will now likely be in the hands of the UK government. So this could be better than unrestricted access to workers of all types. Nevertheless, in the very short term, nothing will happen on the economic side. But expectations will change dramatically and this is this phenomena that will weigh on financial markets. Central banks will not be neutral and they will have to intervene in order to avoid a spillover effect of the British shock. The global growth momentum is currently too weak to allow the diffusion of such a shock. As during the 2008/2009 crisis, swap agreements between central banks will be reactivate to provide liquidity to the global financial market. For the economy, the question is quite simple: relationships between the UK and the rest of the world will deeply change. Rules will never be the same for the fifth most powerful economy in the world. The weight of the UK is by itself a source of concern for the rest of the world. Relationships and rules will change in an environment of low growth momentum and where central bankers already have adopted, and for an extended period, very accommodative monetary policies. In other words a negative and persistent shock with little capacity to adjust because of the low interest rate policy can have a long lasting effect on the UK and the world. That’s what is worrisome. A period of strong growth would have limit the impact of such a shock with stronger endogenous adjustments. Moreover in this type of period David Cameron would not have asked the question of the EU membership. The main source of the shock is that UK will have no more access to the single market in the same conditions than now. A new framework will have to be defined. It will take time and will create uncertainty. In the short term, we don’t know the type of conservatory measures that will be taken during the negotiations. But we can imagine that the British negotiators will want to cut relationships rapidly as it is the decision of the referendum. With the rest of the world, trade’s conditions are for the British conditioned by all the trade agreements that have been signed by the EU. In the case of Brexit, the UK will be excluded from them. In a period during which the global trade doesn’t play anymore its role of transmission and of accelerator of growth, the Brexit shock will add confusion and will weigh on the global outlook. This phenomena plus the fact that many banking activity on euro will be displace in EU will change expectations on the downside even if these fractures are not perceived in the very short term. It will take time to find a solid agreement and to define a robust framework between UK and EU and between UK and the rest of the world leading to uncertainty and risks. It will then be a drag on economic activity in the UK but also in Europe. In the short run, perception of the environment will be driven by political declarations. David Cameron will have to find an impossible majority at the Parliament. He will have to quit. The impossible majority reflects the fact that the Conservative party is now split between supporters of the two options proposed at the referendum. General elections will be required rapidly in order to define a new but very different political equilibrium. We will also wait for the reactions on the future of Europe by all the institutions and governments of the rest of EU. A common dynamic will have to be found in order to avoid that the British referendum be the catalyst for other votes of this type in Europe. This is the effort to do for a Europe that needs to be unified but which has lost its utopia. While the vote to leave has immediate market implications, over the longer-term observers will be wary of the impact the vote has on other nationalist and protectionist movements – both in Europe and elsewhere. In Europe, nationalist parties will feature prominently in elections next year in Germany and France. There is the potential for knock on consequences for market-moving issues like trade, labour mobility and foreign investment. How the EU strikes a balance between facilitating a swift UK exit to reduce risk as quickly as possible, and discouraging similar movements in other countries, will be important. In the weeks leading up to the vote a range of international financial and trade bodies including the IMF, World Bank, Bank of England, and WTO laid out concerns of a UK exit from the EU. These included risks to global growth, trade, foreign investment and financial market stability. The exit vote realises the potential for these projections to unfold. In the three months before the referendum it was noticeable that international investors increased their holdings of UK equities and gilts in spite of the uncertainties created by the vote. The only place where investor behaviour changed was in the currency market where investors hedged their currency risk. While this hedging has proven prescient given sterling’s depreciation following the vote, the key question now is whether international investors will now seek to reduce their underlying holdings of UK assets. If the uncertainty following the leave vote persists and because investors bought rather than sold UK assets before the vote, there is a heightened risk of outflows from both UK equities and Gilts. We will also be watchful of contagion into European assets, especially the Euro. Even though the ECB is expanding its balance sheet aggressively, it is noticeable that investors have reduced their bets on a continued depreciation of the Euro. If the leave vote refocuses market attention on the potential political divisions within Europe, there currently appears to be little political risk premium priced into the single currency and with monetary policy encouraging Euro weakness as well, we would anticipate the downtrend in the EUR against the US dollar to resume. The UK has voted to “leave” the EU. We’re seeing some significant moves in fixed income assets first thing this morning as financial markets had very much discounted a “remain” outcome, in line with the last opinion polls and in particular the betting markets which had heavily backed that outcome. Fundamentally the sell-off in risk assets presents some opportunities for long term investors. Credit markets were already discounting a much higher level of defaults than we believed likely, and today’s moves increase the over-compensation for default risk. However, with liquidity likely to be low today (and potentially for some days to come as the implications of yesterday’s vote become clearer) the chance to pick up bargains might be limited. What about the economy? Well 90% of economists expected a “leave” vote to be negative for UK growth. Some say that even the uncertainty leading up to the vote took up to 50 bps off GDP growth. Certainly investment intentions are likely to be delayed by businesses, and households may become more cautious. A recession can’t be discounted. With the global growth outlook also now likely weaker we expect the US Federal Reserve to be on hold. No rate hikes for the foreseeable future. UK inflation is a different matter. A fall of this magnitude in the pound will lead to higher import prices. After years of inflation being below target, it should move higher than 2%. However in the interests of growth and financial stability this is unlikely to provoke a response from the Bank of England: as mentioned earlier a rate cut is more likely in the first instance.